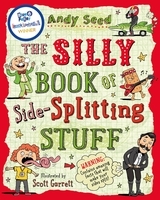 This book is great as not only it is so so funny and really will make your sides split but you can also read it over and over and over again. Not only that, it isn't one big boring text, no, instead it's packed with lists, tables and pictures. As well as being funny it is very informative and gives you real true information about things like The Great Stink and 1752: the silliest year of them all. This is great for anyone, absolutely anyone from 5 all the way to 1001 especially people who love hilarious books or facts or even better both. For girl and boy, child and adult this is one for all the family to enjoy. Thanks to Charli from Bloomsbury for sending me this great book for review. Thanks for posting a link to my blog on your site! I hope I can read this book soon.